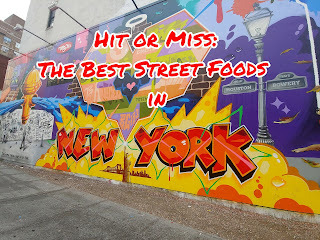 New York City is known for their food, among other things. Food stands on every corner, for sure. 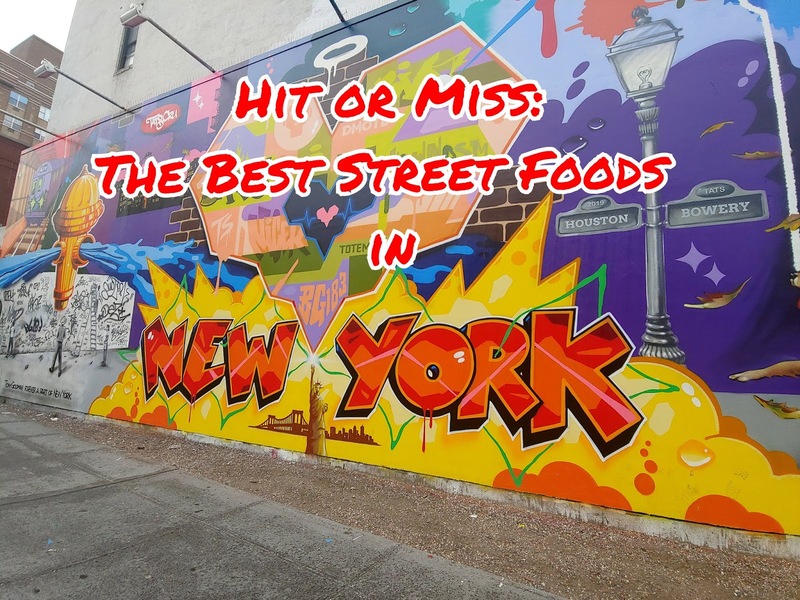 But as a vegetarian on a more tight budget than the Upper East Side, allow me to introduce you, or reintroduce you, to a fraction of the world of street foods, carry abouts and to-gos on this edition of Hit or Miss: NY Streets. 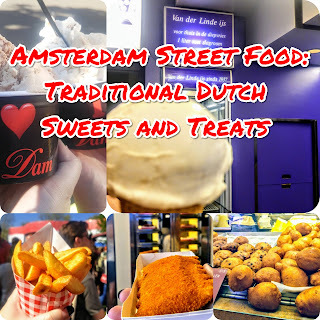 Before heading to the Big Apple I looked up the absolute must haves in the way of food. 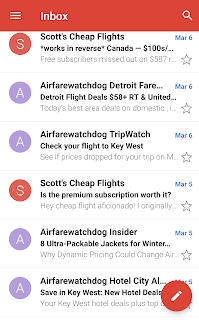 Some were everything I had hoped for, some not great, and some were just a waste. Get your tastebuds ready, we're about to take a trip. 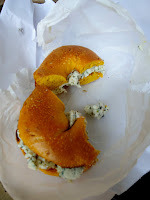 Bread Bros Bagel Cafe: Brooklyn- Went here for a quick bagel bite because everyone said bagels in Brooklyn is the only way to go. And they're right! BB was incredible- I got an egg bagel with an herbed goat cheese spread, and I'd be lying if I didn't think about immediately walking another mile round trip to get seconds. Definite Hit. The Bagel Store: Brooklyn - I passed here by chance on the way to Word Books. 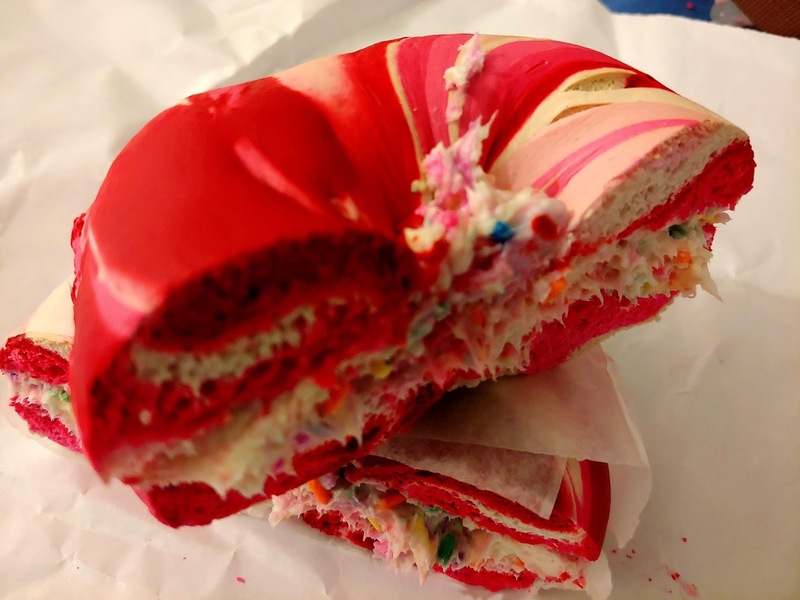 I'd love their rainbow bagels video for years and was so excited to be a part of this place. I went after 4pm so the clichéd rainbow bagels were gone so I went with a shades of pink marble with the funfetti cream cheese. My bagel was dry and the crème cheese was good, but too much. This is a place to go for your Insta, not to actually eat a good bagel. One bagel shouldn't take an hour to eat. It was disappointing and a Miss. 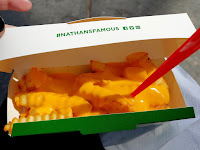 Fries: Nathan's all the way! I stopped at their food truck at the foot of the Brooklyn Bridge for some cheese fries and it was everything I had hoped it would be. Plus, they're everywhere, so, basically melted cheese on every block. Kind of expensive, but still a Hit. 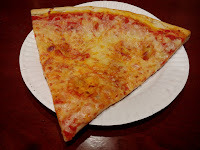 East Broadway Pizza: Deliciously cheesy, crunchy and open late. What more can a gal want? My wonderful Airbnb host, Gino, walked me here on my very first night in Chinatown. 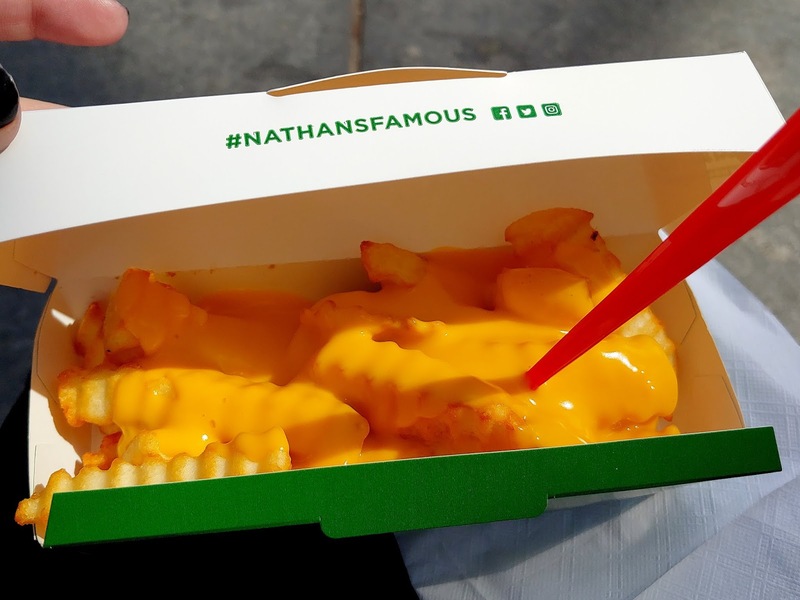 Though this wasn't the greasy slice of cheese every New Yorker promises, the kind that you need to fold ad eat pointed end first, but I still enjoyed the rich sauce, seasonings and mix of cheeses. My flight was delayed five hours and by time I arrived this was one of the only places open. Totally ok! $2 for this big ole slice and a total Hit. 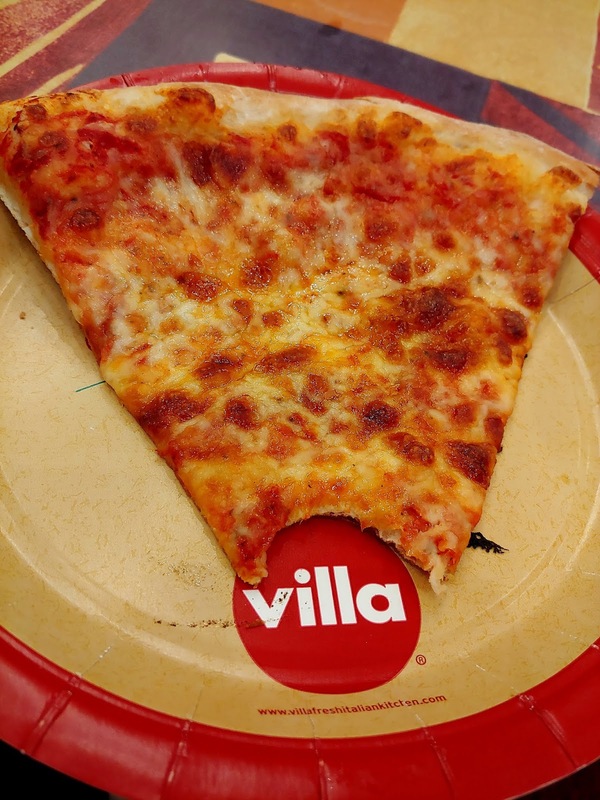 Villa: I can get this pizza at the mall food court. I don't know why I thought that getting it in Times Square would be better. Nearly everything in TS is actually kind of worse than any other normal place. I was just hungry and didn't want a 3 course meal, a hot dog or bar food, which, at 10pm on 42nd is pretty much all that's available. One slice and a pop was $11 which is NUTS considering I had a better piece of cheese pizza in Chinatown for $2. The pizza was really bland, light in weight (see: won't fill you) and dry. I guess it is a chain, after all, and I was hungry. 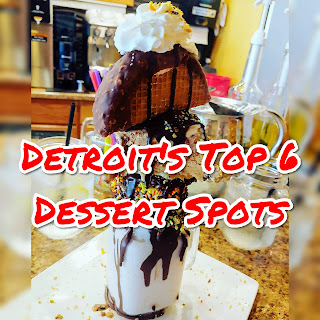 But this place was not worth the time spent waiting in line, the money or the calories. I was hungry again about an hour later. Miss. Forever. Unless I'm at the mall with Margo where it's a slice, salad (or other side) and pop combo for $8. 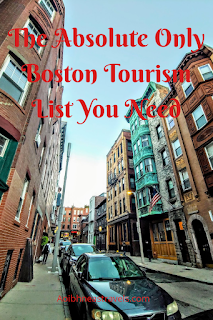 I know there are tons of food items and places not listed (I regret not buying a soft pretzel), but I have a few posts yet to do. Let me know in the comments what was worth the hype, and especially what wasn't! Until later, be kind out there and keep looking forward! I always walk across the Brooklyn Bridge for Grimaldi's for pizza when I'm there. It's touristy and has a line all the time, but it is very good. I love me some NYC street food! I totally agree with your comment that "...nearly everything in [Times Square] is kind of worse than any other normal place." It's a total tourist trap, and there are much better places to see and to be in NYC.